Search Engine Optimization - SEO, Internet Marketing. Designing and developing your website is the essential first step in carving out your niche online. But once you've got your shiny new website, you need a marketing strategy that works for you. Search Engine Optimisation (SEO) is the first strategy. The great thing about SEO is that the results are compounded - the longer you do it the better your results. The results include increased traffic, increased conversions, increased brand awareness and a beautiful ROI. At Silverweb, on-page Search Engine Optimisation comes standard with our web design services. On-page optimisation, involves back-end solutions like optimising images, title tags, description tags, keyword density and internal links, to name a view. 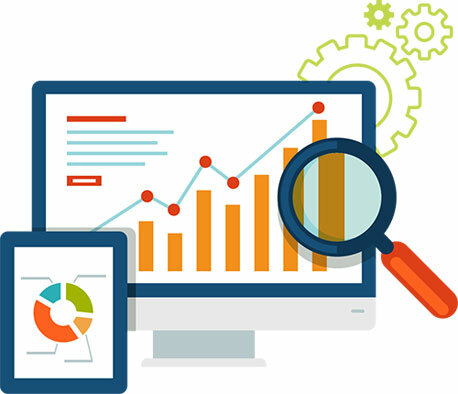 Silverweb can provide you with a comprehensive SEO strategy that starts with the foundations of competitor analysis, keyword research and includes on-page optimisation and website preformance analytics reporting. A new website does not rise to the first page of any search engine overnight. You must have a strategy in place for your website to be visible, untill such time that your website's natural rankings reach the top. A good scheme to get started with, is Google AdWords, which provides a low cost entry into the internet advertising market. Using such schemes does not require much technical expertise, but knowledge of how to get the best out of them could help you to maximise the return from your advertising spend. Pay-Per-Click (PPC) advertising enables you to target thousands of people looking for your business on Google! By targeting people where they search, you're reaching customers interested in what you offer, right when they're ready to buy. Social Media Marketing refers to the process of gaining traffic or attention through social media sites. Facebook, for instance is a full-blown social networking site that allows for sharing updates, photos, joining events and a variety of other activities to promote your business. Social connections may also impact the relevancy of some search results, either within a social media network or at a ‘mainstream’ search engine. Emails can be customised better than websites because you clearly know who your target audience is. You can segment your email list into different customer avatars and send messages that are personalised and targeted to each segment of your audience. When people read emails, they are in a very different mode. It is like getting a post in the mailbox, opening it and reading it. It's personal and attention grabbing. Email is a one-on-one communication tool and is great for building long-term relationships with customers. A good platform to use for your mass mail marketing, is MailChimp. Everyone starts small. But with the right resources, you can execute big plans. MailChimp’s features are powerful enough for Fortune 500 companies at a price point that works for anyone. Copyright © Silverweb. All rights reserved.